In the industrial setting, workplace accidents are always a possibility. When dealing with highly toxic chemicals, large equipment, and heavy machinery, accidents can happen. The important part of workplace safety is working to avoid a tragic accident in the first place. Working in the cleanup industry, Spaulding Decon sees industrial accidents often and knows that many times they are preventable. To help your workplace stay safe and avoid a tragic accident, we at Spaulding Decon, have put together this “Top 5 Safety Tips” list from our experience in the industrial cleanup and decontamination industry. Educate your employees on the workplace safety policy! Every workplace has a specified procedural guide or policy book, but it does no good if each employee doesn’t know it. 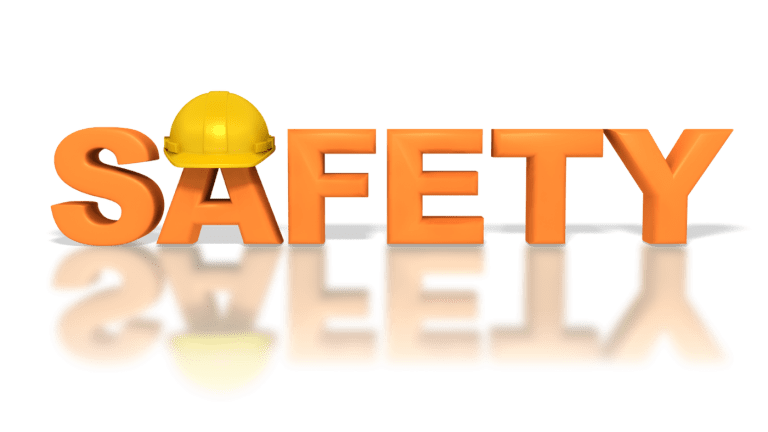 Ensuring everyone in the workplace is aware of the dangers present and how to avoid them is the first step in Spaulding Decon’s safety plan. People working in an industrial workspace are only as safe as the equipment protecting them. It is important that proper PPE is worn at all times. For some places this may just be gloves and goggles, for other workspaces it could be that and hardhats, it varies from place to place, what is important is making sure each worker has what they need to stay safe. Like we said before, industrial accidents are bound to happen, whether form human error or faulty machinery, sometimes things go awry, so it is important to have a response plan. If your plant works with toxic waste, make sure that everyone knows how to respond to a spill. Making sure that each person in the workplace knows how to respond in case of tragedy can decrease the risk of injury after the initial incident. Is each machine running properly? Does each person know the job that is required of them? Are the nuts and bolts screwed tight in the machinery? Is the proper PPE being worn and are protocols being followed? Inspecting the day-to-day operation and operating equipment on a regular basis to ensure they are working the way they are intended to is an important step in workplace safety. Examine the operations, is there a way something is done that could put someone in danger? Is there protection equipment that isn’t being worn that could help prevent injury? Each operation should be examined to find holes in safety where injuries can occur, and steps are taken to correct them. Not everything can be foreseen, but it is worth a try! Not all workplace accidents can be avoided, but it is important to prevent them as best you can! For those instances where it could not be prevented, there’s Spaulding Decon. For over 10 years Spaulding Decon has been a leader in the cleanup and decontamination industry, visit us online to learn more!